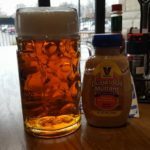 The Bavarian Bierhaus in Nashville, Tennessee is an inviting restaurant that creates some downright tasty food with traditional German beers. 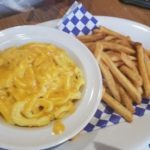 Creating a friendly aura in his restaurant, owner Brian Kehl brings a bit of Bavaria next to the Grand Ole Opry. The restaurant has a larger room that is opened up during busy periods and can hold family get-togethers, office meetings, and social events easily. The sheer amount of staff that are present during any shift of the Bierhaus is astonishing, whether it be the numerous accurately-dressed servers, the number of chefs on the line, or bartenders pouring any one of numerous brews. 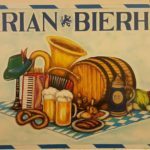 The restaurant has musical guests regularly, providing just a bit more of a vibrant, jovial atmosphere to one’s experience while at the Bierhaus. 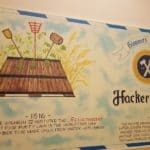 Weihenstephaner, Paulaner, Hacker Pschorr, Spaten, Hofbrau Munchen, and rotating / seasonal offerings showcase the depth of German biers. When we visited the restaurant, a dunkel was being offered for a limited time. 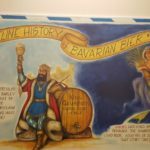 The Bavarian Bierhaus had an ingenious system in place to ensure that the taps have constant up-time rather than requiring bartenders to wait for a keg to be changed. Furthermore the restaurant utilizes a cleaning system for their glassware separate from that which cleans the dishes to go above and beyond in their cleanliness. 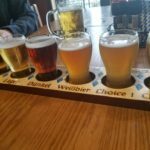 We’d recommend the taster ($15), 6 4-ounce samples that allow beer fans the ability to see the sheer differences that exist, even when one is given something that would seem similar (such as two hefeweizens). Wine options – including a number of German and Austrian varietals – are also available for $6-8, alongside cocktails and shots. We started our meal with the Kartoffelpuffer ($8), potato pancakes that come out piping hot. 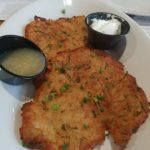 They are the perfect blend of crispy and succulent, and are given an additional level of depth with sour cream, chives, and applesauce. Each of the schnitzels – an ample helping of pork or chicken ($18), the pork/chicken topped with ham and swiss ($19), or a pork cutlet with mushroom gravy ($21) come with a heaping helping of other Spatzle or fries; an additional $2 will net you a pair of eggs served sunny-side up (“A La Holstein”). 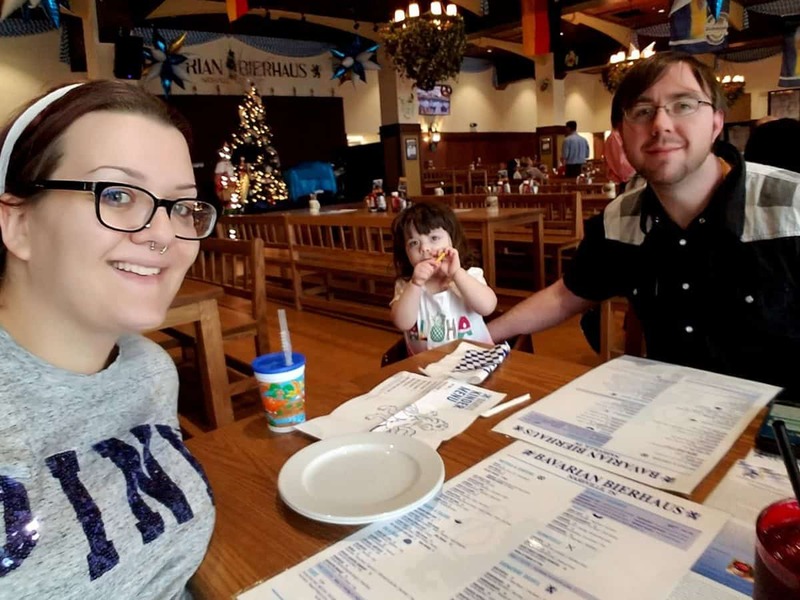 The Bavarian Bierhaus provides the younger set with a good amount of options, even for the most picky eater. Favorites during our visit had to the the Bierhaus Wurstteller ($21), a sampler plate of a number of sausages. 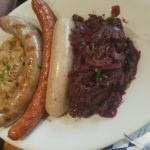 Whether it be a smoked or Oktoberfest bratwurst or the Weisswurst, one can be assured that each sausage has a fresh snap, a good toasting, and an approachable flavor profile. For those seriously picky about their encased meats, the Bierhaus has picked a champ in Usinger’s Sausages. 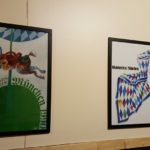 The restaurant’s menu is rounded out with a number of soups (bier cheese, sausages, sandwiches (Reubens, chicken schnitzel sandwiches, sliders, and a 10 ounce Biergarten Burger ($11, with bacon, fried eggs, and pretzel buns available for a upcharge). 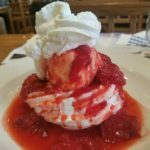 Make sure to end your meal with the Schaumtore ($6), a strawberry topped meringue with vanilla ice cream and whipped cream. Gluten-free options are also available. The hint of wood present in the smoked bratwurst was a favorite, but I fell in love with the lighter flavors of the weisswurst (veal/bacon). Heck, I’m not usually a fan of sauerkraut but the love and care taken by the Bierhaus in matching a distinct flavor with the bite of red cabbage made it into a star attraction. The meal can easily be halved and re-heated after one gets back to their house/hotel. 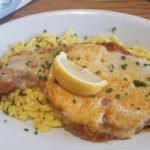 With the Bavarian Bierhaus located in the Opry Mills mall, make sure to get a great meal and walk off your over-stuffed state with a bit of retail therapy.